As a result of selective breeding, there has been a great increase in the variety of quill colors that are now available. The starting stock for domestic hedgehogs consisted of two predominant patterns. The hedgehogs typically referred to as Pruner’s hedgehogs had white and black quills, a dark face mask and legs along with a wide division in the quills between the ears. The Algerian hedgehogs had brown and cream colored quills without a mask. The most frequent color patterns are salt and pepper or agouti, snowflake and cinnamon. The 3 terms “normal,” “agouti” and “salt and pepper” are employed interchangeably to refer to hedgehogs with black and white or brown and cream quills. Agouti basically means that an individual hair, or with regards hedgehogs, quill, is made up of several colours. Salt and pepper normally refers to the original colour of the pure albiventrix species , or Pruner’s hedgehog. Chocolate is the original colour of the pure algerian species, with dark brown and cream quills and no face mask. Algerian hedgehogs have been used to create a number of the lighter hedgehog colours. Snowflake hedgehogs have the most contentious group of colour descriptions. Dependant upon the breeder or organisation, snowflake could possibly refer to a hedgehog with 100 % white quills, no mask and normal, dark colouring around the nose and eyes. Other breeders identify snowflake as 75 % or more all white quills with no facial mask. Should a hedgehog be advertised as “snowflake,” ensure you ask for more detailed information so that you know precisely what snowflake actually means to the breeder or shop you are dealing with. Panda hedgehogs have white or virtually all white quills with dark eyes and nose, and also a dark mask and ears. Cinnamon hedgehogs normally have cream coloured quills with a light brown or reddish coloured brown band, a light face and legs. This colour has additionally been referred to as blonde, champagne, rose beige and apricot. The hedgehogs frequently have a light brown or pinkish nose, instead of a black nose. Fawn is commonly used describe a cinnamon hedgehog with a dark facial mask and in some cases dark legs. This is a more uncommon pattern. Mocha hedgehogs have chocolate brown and cream quills along with a dark mask. If this colour has a grey cast, it is frequently referred to as mud. It is sometimes the consequence of a cross between a pure algerian and a pure albiventrix hedgehog. 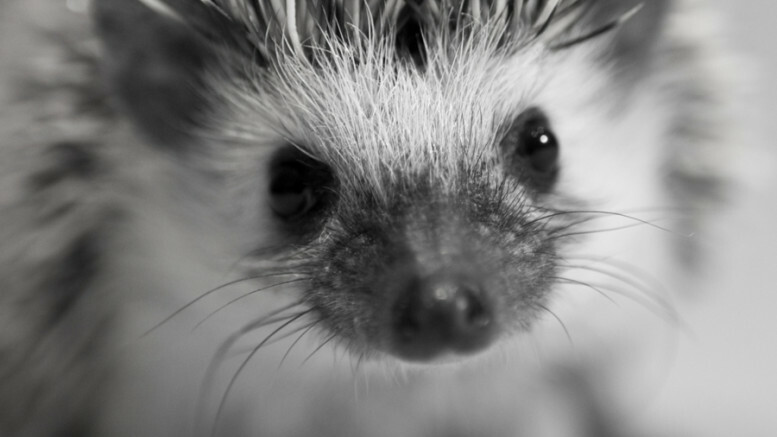 Cream hedgehogs have off-white or ivory coloured quills, no mask and ruby eyes. The eye colour is extremely important because it is darker compared to the pink eyes of an albino, but undoubtedly red compared to a normal hedgehog. It is sometimes difficult to say if a cream hedgehog is an albino when it is a baby. The determining factor once the eyes open is whether the eyes are pink or red. Smoke point or silver point hedgehogs have quills which are noticeably white and pale grey with the overall look being light to smoky grey. Typically, they have a face mask and dark legs. It is a distinct grey colour, not black or chocolate. Albino hedgehogs are true albinos. They have got white or off-white quills with pink eyes along with a liver-coloured or pink nose. They have no pigment anywhere. Albinos are said to have shorter life expectancies than other hedgehogs. This is correct in the wild as their white colour does not provide the same protection and camouflage when compared to the standard agouti quill. In captivity, with good care, albinos live as long as their coloured relations. Spotted, or pinto, hedgehogs may be any base colour with several white or cream coloured spots. Round spots on the both sides are definitely the most typical spotting pattern followed by a pattern with a band of white across the back end. 1 Comment on "Colour variations in African Pygmy Hedgehogs"
I live in Guelph Ontario Canada and I was wandering where I could find a pygmy hedgehog.